Ayin Gurling is the mom of the Blythe boys. Her furry haired youngsters always look stylish and well behaved. It’s not easy to get to that sweet spot of creating a boy out of a girl doll, but she has nailed it! It will take time before you achieve the results you hope for but it will be totally worth it. 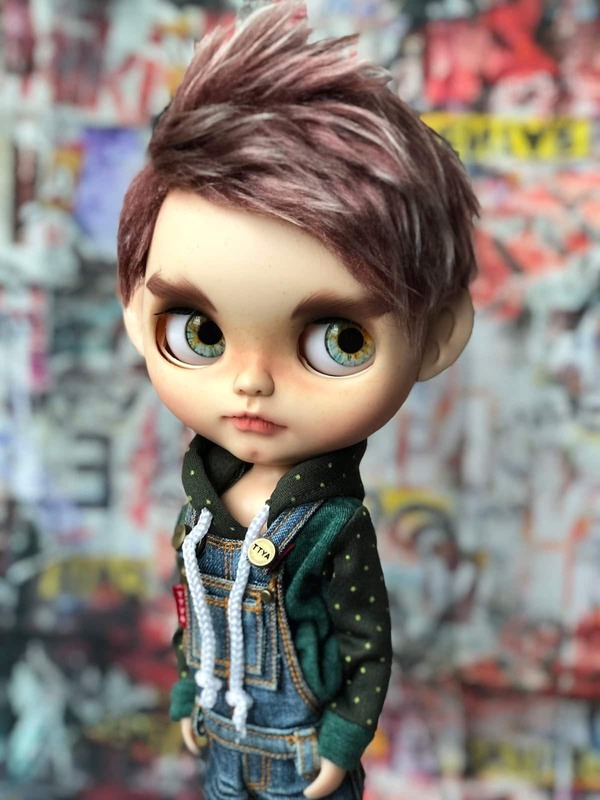 Hello everyone, I’m Ayin and I’m a Blythe doll customizer specializing in boys. I’m currently based in London, UK. I’m also a mum to two beautiful children. I’ve always loved dolls in various forms and I can remember selling hand-drawn paper dolls to my classmates when I was in primary school. Today, being a part of the Blythe community is like a dream come true for me. 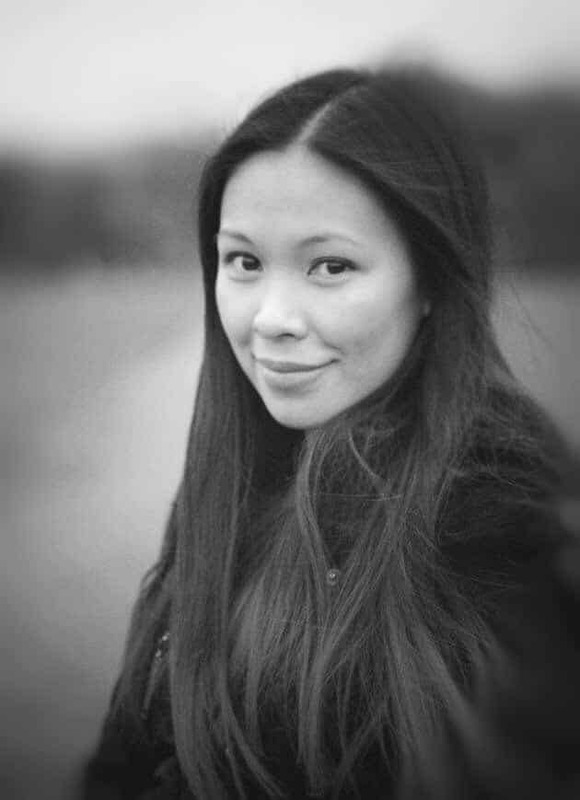 Ayin Gurling, the face behind SplattergirlUK. It all started in 2007 when a photo of a particular doll caught my attention. It was a Princess a la Mode. Back then, I admired Blythe dolls from a distance. My main work as a creative was painting commissioned artwork on Converse sneakers. It was a lovely gig which I enjoyed a lot and has made a lot of people happy. 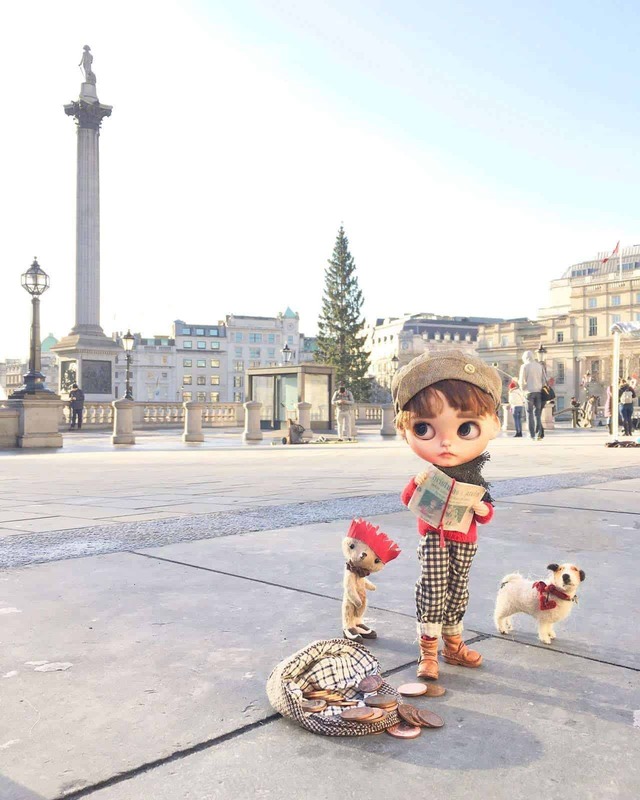 As the years went by, Blythe dolls’ popularity steadily increased, and its presence felt online. I especially became more enthused to have one when I saw the possibilities in the customization community. The thought of owning and changing its style and make-up to my tastes tapped the creative in me deeply, and in some ways made me quite excited about the various possibilities I can imagine. It took me quite a while, somewhere between 3 to 4 years. Before that, I was focused mainly on making and selling affordable Blythe clothing, as dressing them up can be very dear. 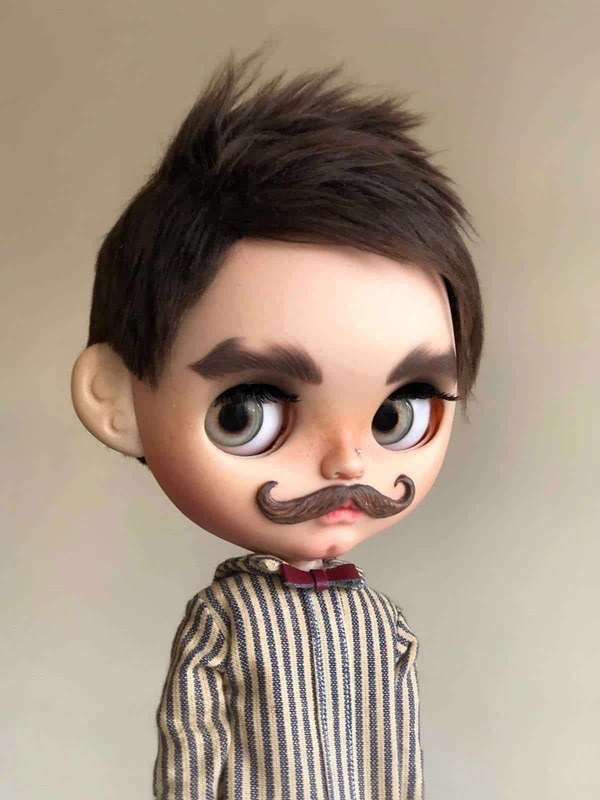 I would also customize a doll every few months with the purpose of building my skills, but mainly to fund this new hobby of mine. 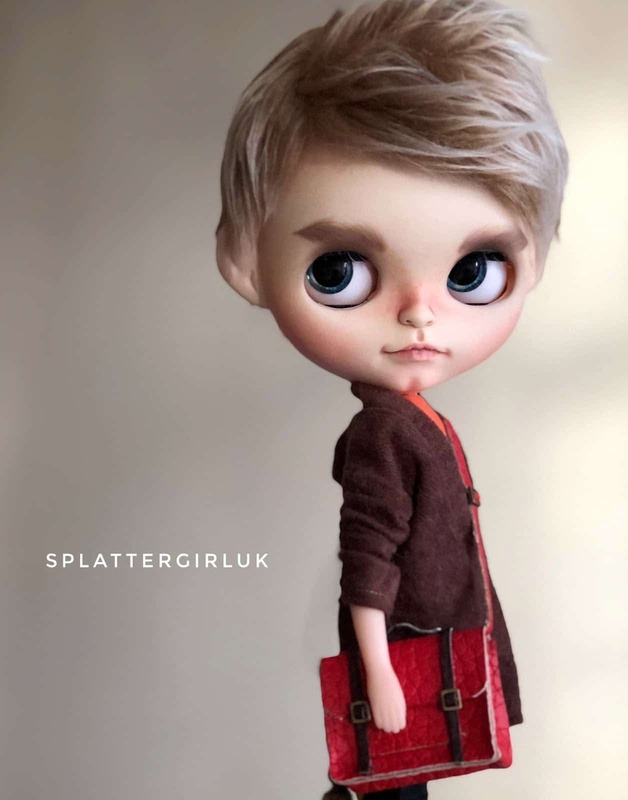 I’ve attended a few UK Blythe events and I found myself completely inspired by the beautiful creations from other customizers. 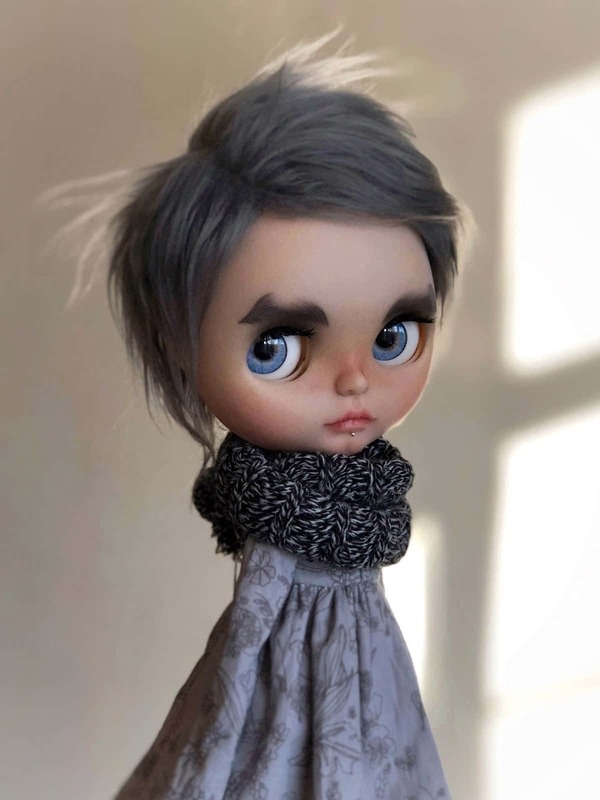 I kept asking myself how wonderful it would be if I had the skills to also make Blythe dolls on par with those that I saw. 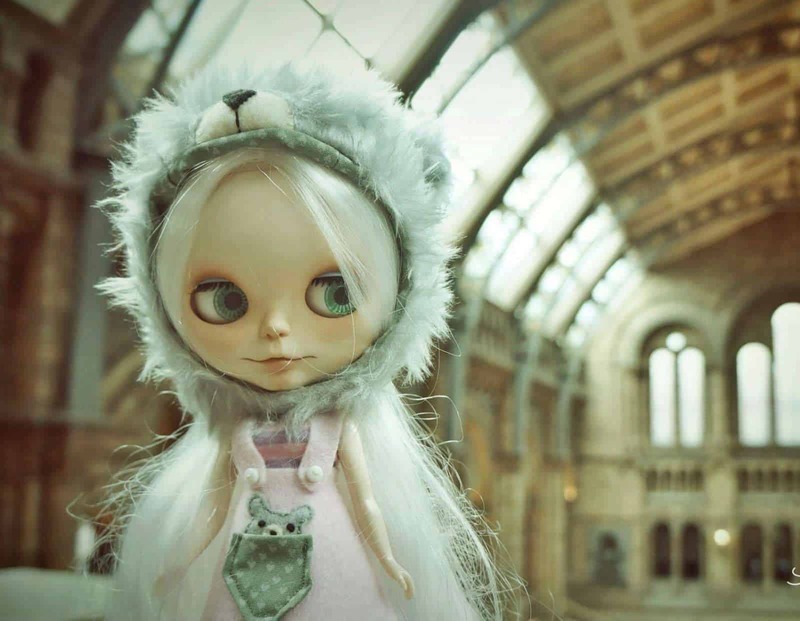 First custom doll (June 2013). 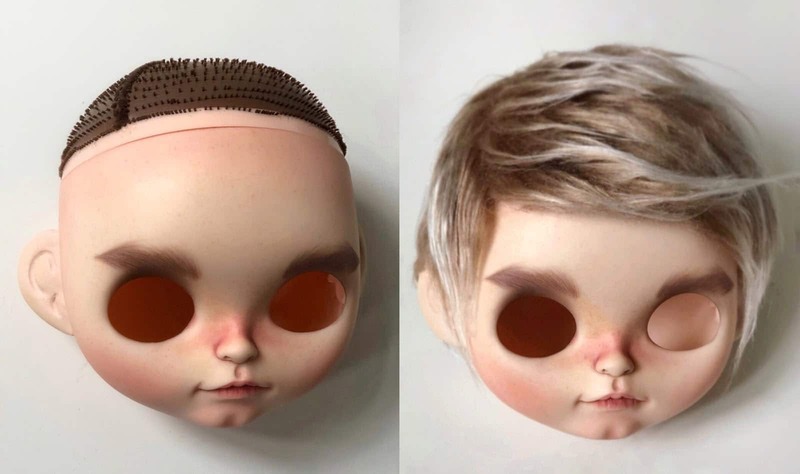 Last custom doll (April 2018). 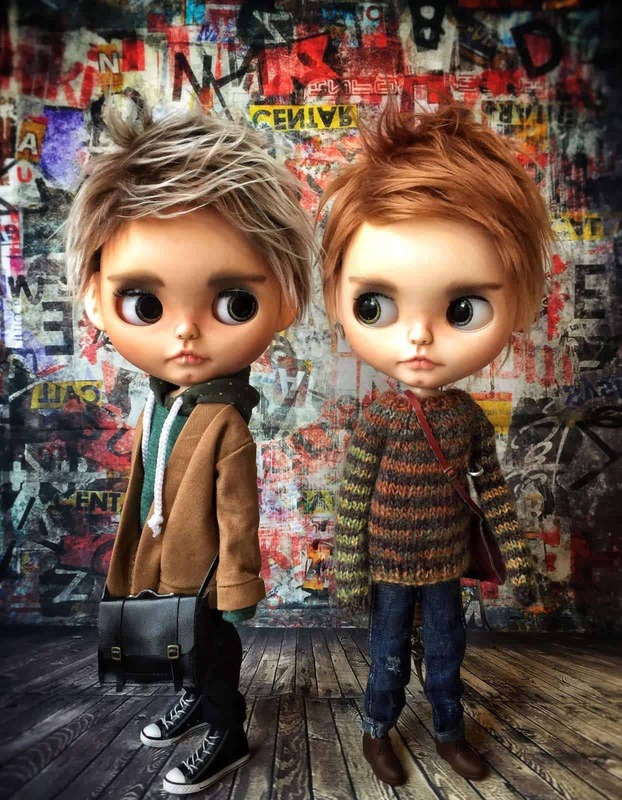 Early last year, I discovered several Blythe Facebook groups. The groups are quite active and have very lovely and encouraging members. Some have become personal friends of mine. Talking to other customizers, asking them questions, and receiving their encouraging responses, they were instrumental in giving me the push to find the confidence to find my own style. It even went further than what I was contemplating at the time. It propelled me to do customizing not only as a hobby but a profession as well. 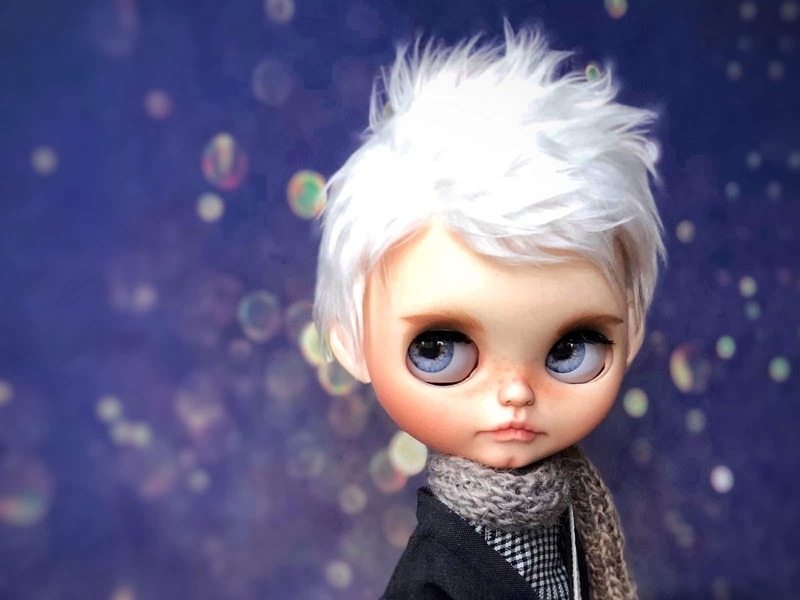 As for creating custom Blythe boys which is my favorite work to do – I was inspired by my son, Therion. “If you do what you love, you’ll never work a day in your life.” — What started out as a hobby is now both. It’s just wonderful – to have a job I enjoy and earn from. It wasn’t easy though, but the journey has made me appreciate the Blythe community much more. When I create one of my customs I meticulously plan everything. I would always have a name in mind and then I would imagine his/her personality. It will be easier afterward, choosing the hair color, face up, and the outfit which I would personally make if time permits. 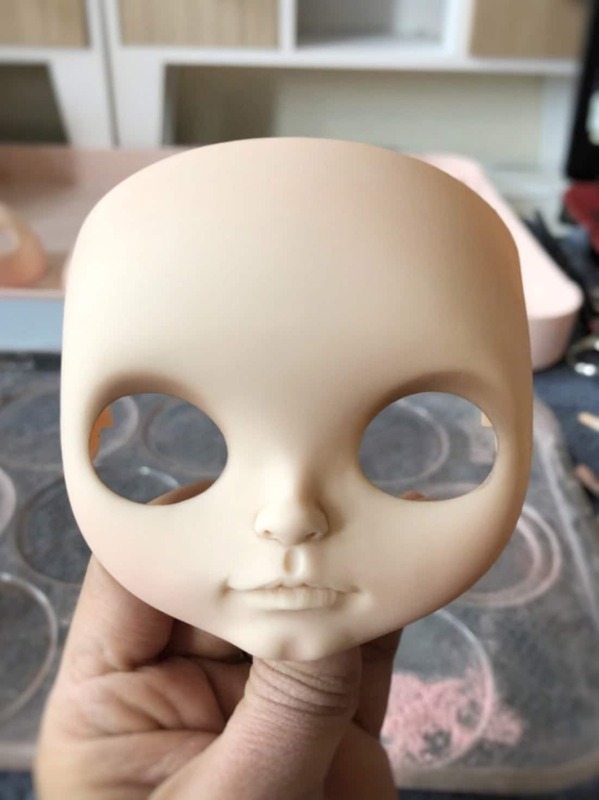 Commission work involves the same process, although I do ask my customers about their vision on how they would like their doll to be. From there I will take the creative lead to make their vision come to life. It’s teamwork and I love it. 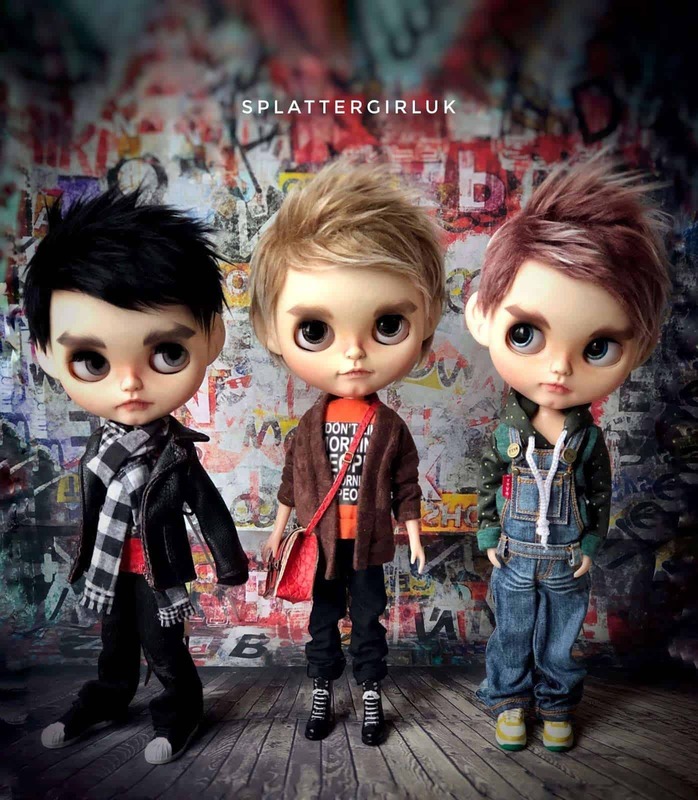 A group shot of a few SplattergirlUK boys. I would say carving is my favorite part. It’s the most dangerous and fun stage – using sharp tools to modify the facial features and eventually coming up with something different every time. I also enjoy taking photos of them afterward. Assembly is my least favorite because I worry that something might go wrong, like the eye mech not working, or something would just not pop back into place properly. 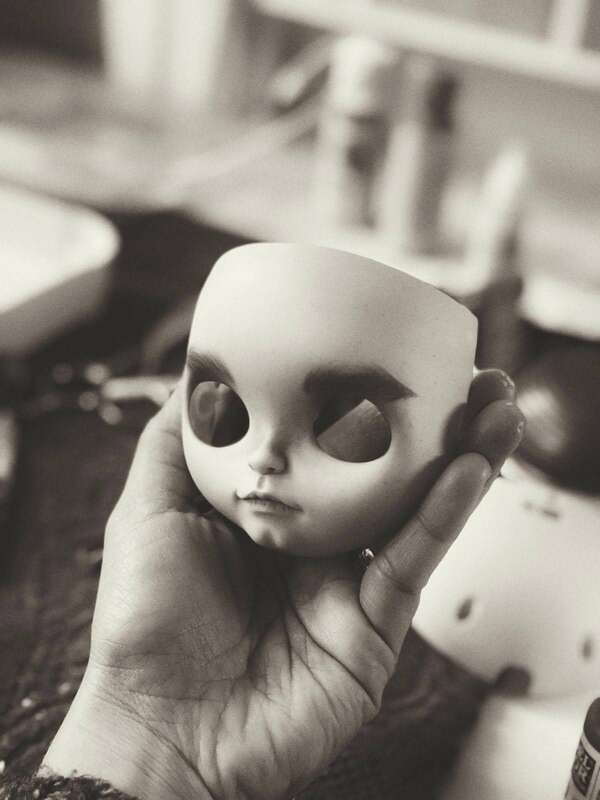 But each customization journey is special, which makes each doll almost have its own story that I only know. It depends on the notorious London weather! Using MSC can be quite tricky, and certain atmospheric conditions can easily prolong the entire process. Because the weather is usually grey, I find myself having 2-3 faceplates at my work desk at any given time. I work on them slowly, but in every chance I get (as a mum to a toddler, I don’t exactly have complete blocks of time for work!). With the right conditions, I can complete a doll in 5 days, spending around 16-20 hours, not including the time to make their outfit and photography. There are also times when it would take me 2-3 weeks to complete a doll. I have my own dolly corner at home – not a studio, just a couple of desks really, but it does the job. 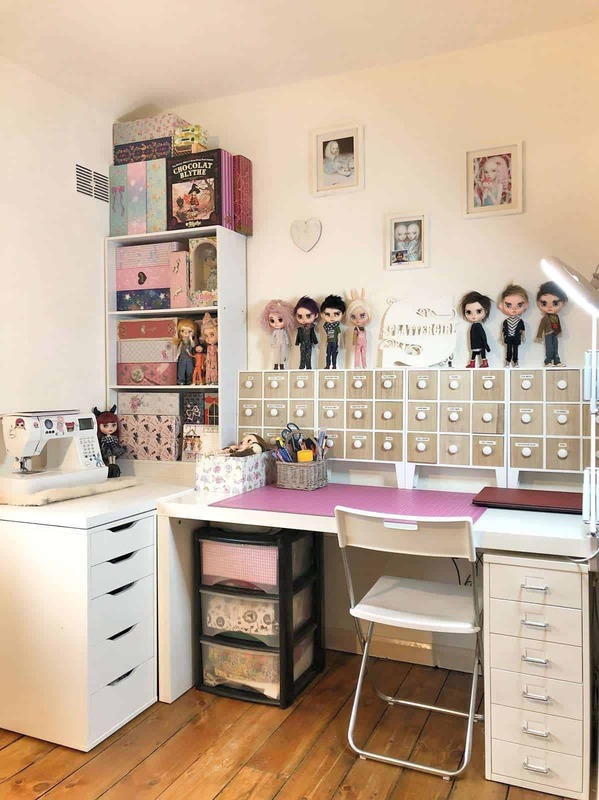 I have my Blythe doll collection on one corner, my sewing machine, and customization tools all organized. I’d like to say my dolls are “fun”. My furry haired boys resemble your typical, cool older brother; while my pixie-haired girls have a little dash of magic. 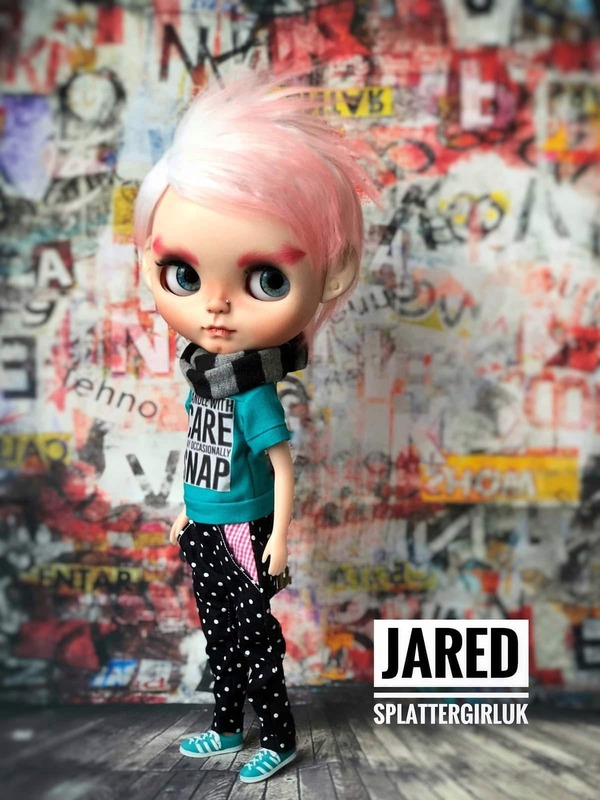 I’ve also received lots of comments on how my dolls look very trendy and I take pride on that. SBL twins Rocco and Max from BCUK Liverpool. I love a good scalpel and the tiny sanding drill bits. Although the plastic tends to be thinner, I like the challenge of working on SBL dolls, but a personal favorite is FBL. I don’t mind working on TBL as well, the abundance of plastic is helpful when you want to a achieve a certain look through carving. I base it on how much work I put on the doll, the time I spent and the quality of the outcome. There are times that I refuse to sell a doll despite the time I spent on it because I am not happy with the result. 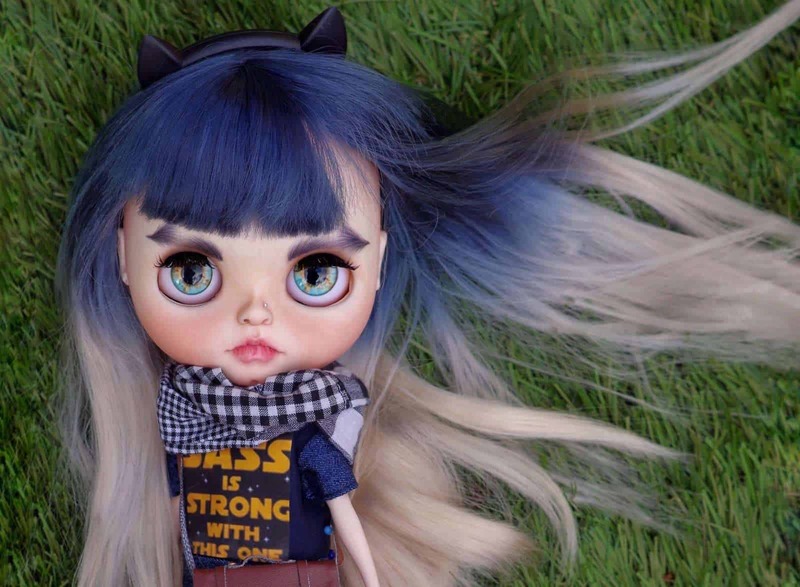 If you want to have a go at customizing Blythe dolls, just do it and enjoy the process. Do your research and ask questions to relevant people. The more time you spend practicing, the better you will get at it. It will take time before you achieve the results you hope for but it will be totally worth it. Don’t forget the best part, have fun! Five years and many dolls after, Ayin Gurling has now a well-known style and presence in the Blythe world. Her stylish boys are very recognizable and a wonder to contemplate. Every one of them has a name and personality and everything to match with it. All clothes and accessories are carefully chosen and created for it. 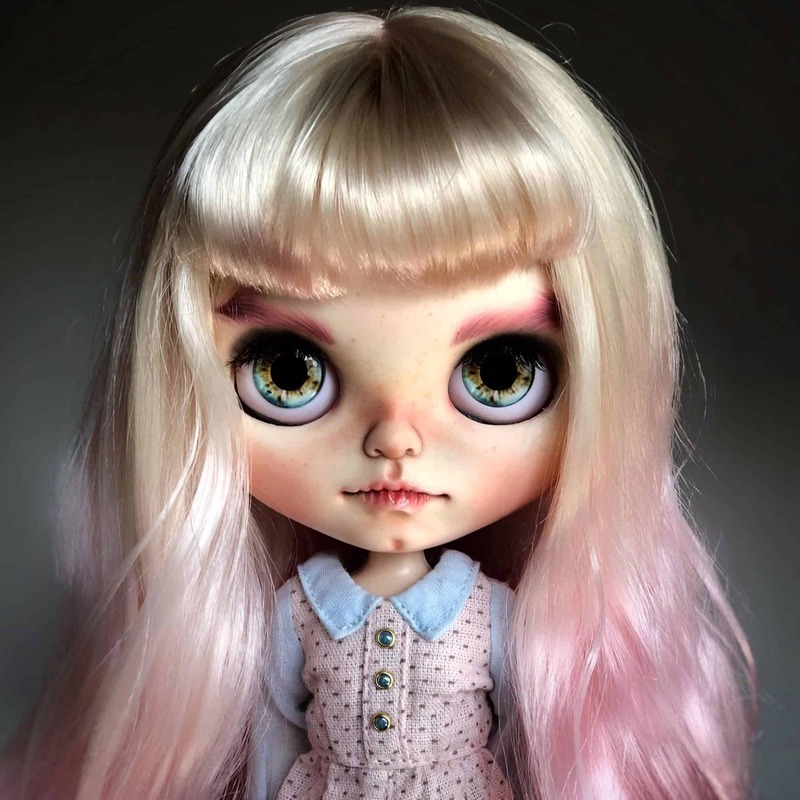 SplattergirlUK is also a very active member of Blythe online communities, so don’t forget to check Blythe Customization and DollyAdoption, but also her social media profiles.